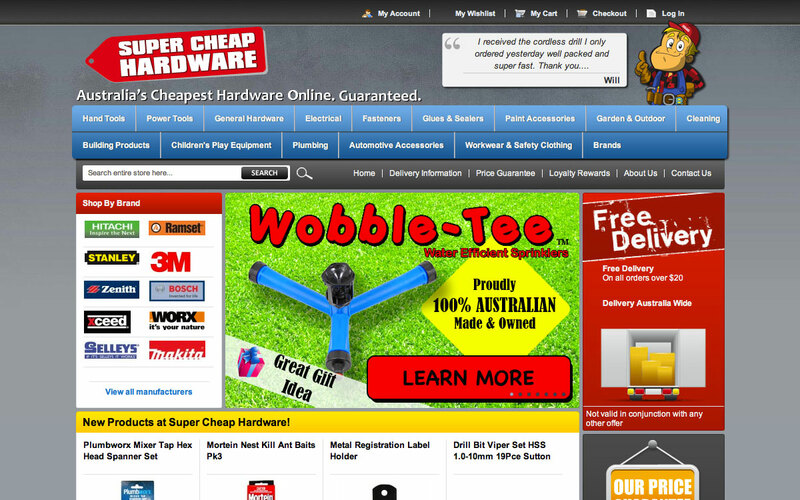 Super Cheap Hardware is an online hardware retailer, servicing Australia and across the globe. 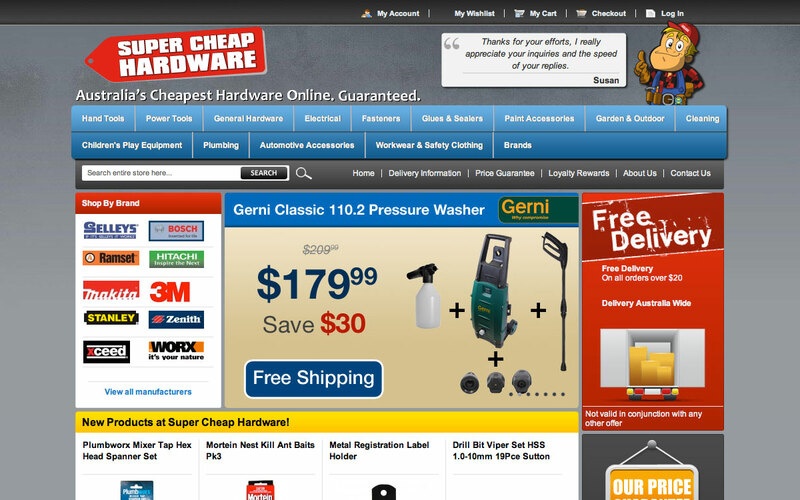 A new Magento website was created to service the needs of Super Cheap Hardware. 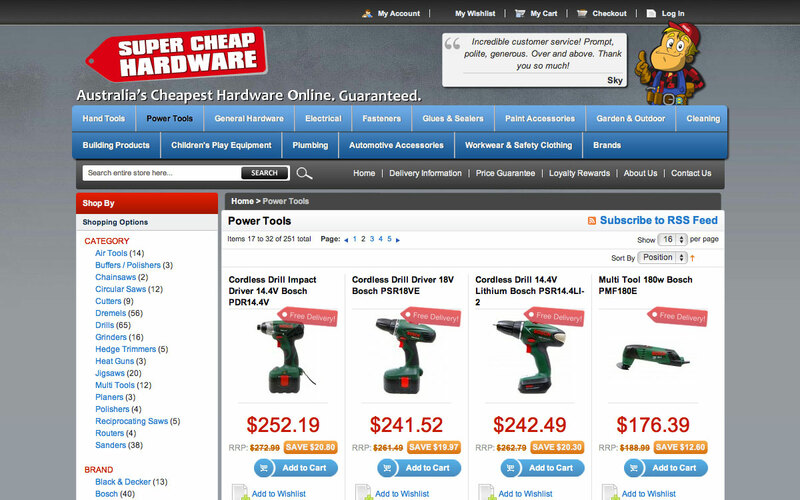 This platform provided the scalability and customisation needed to build the online store for a client with a large user base.